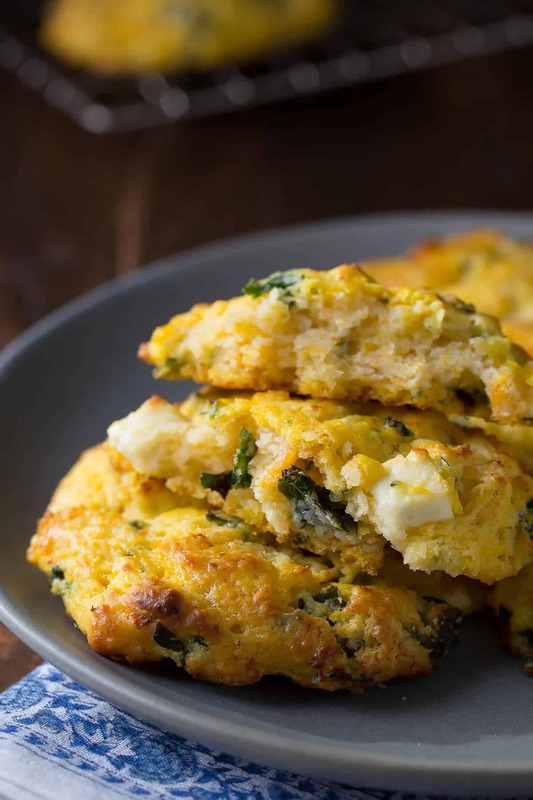 These butternut squash scones with spinach and feta are hiding a healthy secret: a TON of veggies! This recipe is brought to you by that left-over butternut squash that was eyeing me from the refrigerator. I hate wasting food. HATE it. Especially anything the size of a butternut squash. A) they are huge and B) they can be kind of pricey! So that butternut squash just had to be used…and I remembered how delicious these Pumpkin Sage Biscuits were, so I decided to do a riff on that. Except in scone form, to give you these butternut squash scones! I guess there were words after all! Here’s the dealio: you need cooked butternut squash for this recipe, and whether you steam it or roast it is up to you. I roasted mine because I had the time and wanted that extra flavor it gives. And also, for some reason I’ve always cubed my squash before roasting. <–That’s the hard way to do things! Save yourself some time and cut your squash in half, put in on the baking sheet and roast for 40 or so minutes. You can scoop it out later and it is SO MUCH EASIER! 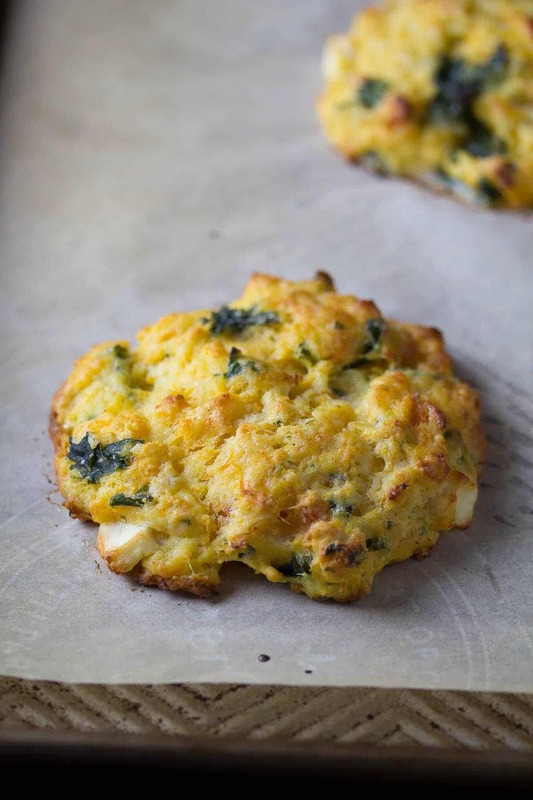 The flavor of these butternut squash scones is just SO GOOD. You have a tiny bit of sweetness/butternut squashiness (let’s make squashiness a word, OK? ), and then you have the salty feta. I didn’t even notice the spinach but it was there…a whole cup of it. In fact there are two whole cups of sneaky veggies in these scones! And the texture is my favorite part…so tender and flaky. You have not tasted scones until you’ve tasted them fresh from the oven, that’s for sure! Alright friends, now you know the drill the next time you happen to have left-over butternut squash: bake up some scones! Happy Monday! I will see you on Thursday with my new favorite pasta recipe for 30 Minute Thursday! These savory scones contain 2 whole cups of vegetables! Pureed butternut squash, kale and feta give a great flavor and nutritional boost. 1 cup kale or spinach washed dried, and cut into small pieces. Cut the butter in using a fork or pastry tool. Stir in the butternut squash, spinach and feta. Stir in the buttermilk and mix until just combined. Form 10-12 small dough balls on a parchment-lined baking sheet, 1.5-2 inches in diameter. Brush the tops with additional buttermilk. Bake for 15-20 minutes, until tops are golden and scones are baked through. I roasted my butternut squash whole at 400°F for 30-40 minutes, then scooped out the middle and mashed it with a potato masher. I got exactly 1 cup of puree from ½ of a small butternut squash. These scones keep for 3 days in a sealed container in the fridge. Has anyone tried freezing them? Im wondering if it is worth doubling the recipe? I haven’t tried myself but most scones are pretty freezer-friendly. You can even freeze them raw (pre-baked), then pop them in the oven frozen to bake up! I’m always looking for recipes to prep for quick breakfasts during the work week. And I think that these scones just became my favorite. I am a feta junkie, and buttery, flaky scones are obviously awesome! 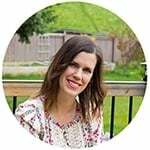 Love the extra vegetables and am excited to try out this healthy breakfast recipe! Thanks for posting Denise! Cheers! I made these scones two days ago and I am just so happy I did! At first they did not seem to come together well, and I was a bit put off. (the dough was really sticky and almost could not be worked together. I had to add more flour, and things were fine after that. )I also added a bit of sharp cheddar that I have left from another recipe. I did not bake them at 450, that just seemed a bit high, so kept them at 400, and maybe baked a bit longer, but they are INCREDIBLE!!!! !I love everything about them.I don’t ever want to be without these delicious morsels in my house! I wonder if adding some onion would be nice to them, as well? Hi Carol! What a nice comment to read 🙂 I agree with you on the dough, it is VERY sticky and kind of hard to manage, but trust me, when it bakes up you’d never even know! I’m so glad you liked them. I bet onions would be delicious! ?I will be making them with onion soon! These are absolutely delicious and my family could not keep their hands off of them! Have you tried freezing the dough (when already formed) to bake later? Hi Stacey! I’m so glad your family loved the scones 🙂 I haven’t tried freezing them, but my mom regularly freezes scones. I think she even puts them in the oven frozen. I will ask her and let you know! They look super delicious. Love the recipe! Thank-you, Kushi! They are my new favorite scones! I love the tower 🙂 I often make it with pancakes in the morning when I’ve got some more free time 🙂 Yummy, yummy! WOW. These scones sound so delicious, Denise! I wish I could grab one out of the screen. I’m loving the feta in there, and the butternut squash flavor sounds incredible. Swoon! These scones look incredible, Denise! I love that you snuck in some butternut squash! I can have that all year round and be happy 🙂 I’m with you on roasting the entire squash in the oven or sometimes I use the crock-pot and it cooks up in a little bit over an hour too. And now I’m totally craving scones for breakfast! Denise – those scones looks so yummy – one of my favourite baked goods. Can’t wait to try them! Ooooh savory scones! I just love these Denise. I think I’d be munching on them for breakfast, lunch, or dinner. I think savory scones are my new favorite thing!! Thanks, Alyssa! Oh my goodness, Denise – these look delicious! 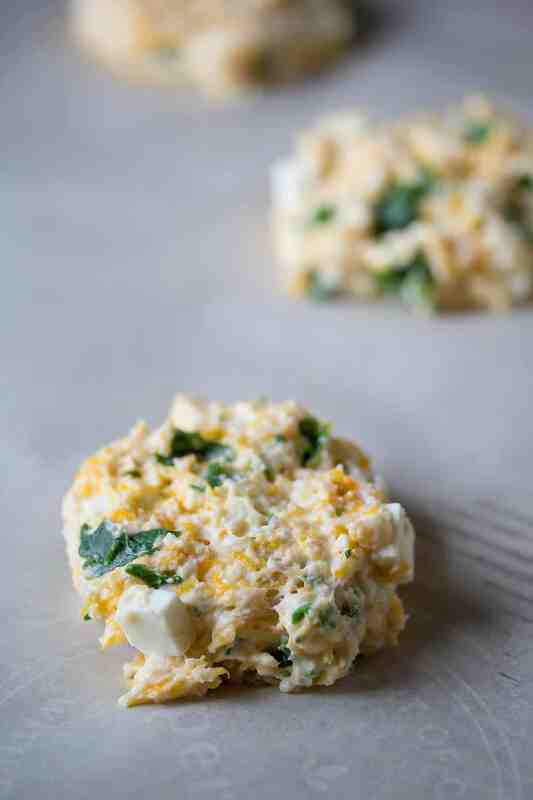 I am making them this weekend – because I love feta cheese and butternut squash. I’m with you on the roasting butternut squash – sooo much easier to scoop out – I did that for soup recently and it worked really well. Now that I think about it, I’m pretty sure I read about roasting them and then scooping them on YOUR blog! Thanks for the (much easier) trick, Geraldine! I hate wasting food, too! You put that leftover butternut squash to great use here — these look like some of the best scones ever and I love that they’re packed with veggies! Thank you so much, Marcie! It was such a great way to use it up! Thanks Medha! The feta adds so much flavor! Dannnng girrrl. You had me at buttermilk! What a fabulous idea, Denise! Total drool fest over here, on so many levels. I’m still all about the squash… so it’s never to late or early to share a squash recipe. In fact, I still have a few fresh squash from the farm and several purred and frozen packs in the freezer. It’s one of those winter veggies I eat year round because it freezes so well and it’s sooo good! Thank you for giving me another way to enjoy squash! Hooray! These totally hit the spot. That’s such a great tip, Traci! I’m going to try freezing some puree next time. Although the problem with my freezer can be remembering what is being stored in it and where exactly to find it…LOL! 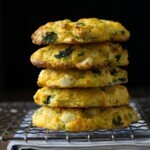 Gah, your butternut squash scones look delicious, Denise! 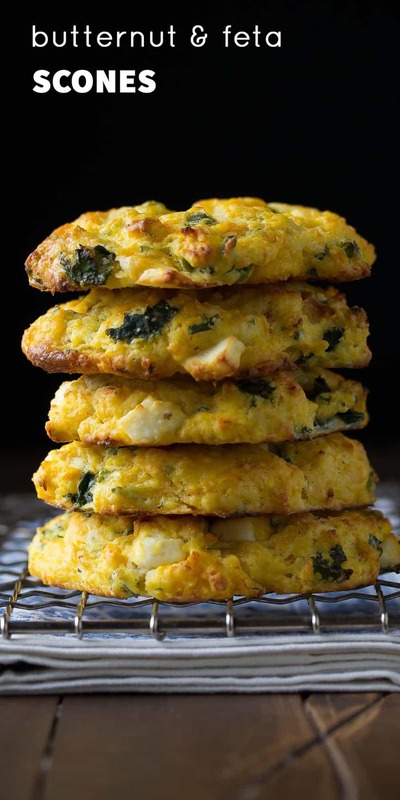 Loving the spinach and feta you added to these! Total buttery deliciousness going on here! I could eat a dozen of these and call it dinner. Easily! Cheers, girlfriend! Oh MAN. These look so ultra-ultra-ULTRA flaky and buttery I can hardly stand it! I’m kinda loving the fact that you snuck butternut squash into the mix, because that automatically makes this health food! Soooo I can eat the whole batch? Hehe I swear butternut squash cancels out any butter calories 😉 Thanks, Sarah!